Units 211-213, 2/F., Lakeside 1, 8 Science Park West Avenue, Hong Kong Science Park, Pak Shek Kok, N.T. Advanced I.T. Solutions and Consultancy SINCE 2000 ClusterTech Limited is a leading provider of advanced I.T. solution and consultancy in Asia Pacific. 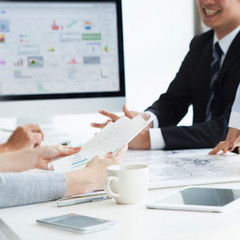 We specialise in helping our clients solve challenging computational problems and improve operational efficiency through customised solutions based on High Performance Computing (HPC), Artificial Intelligence (AI) and Analytics, Cloud, and Big Data Infrastructure. 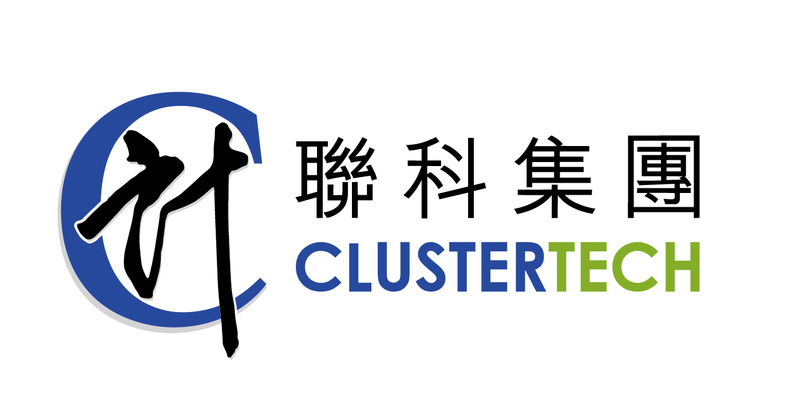 Founded in 2000, Clustertech was Asia's first HPC solution provider. We have since extended domain expertise and made advances in computing technologies for financial engineering, business intelligence, environmental sciences, smart city and internet applications. With headquarters in Hong Kong Science Park and branch offices in China and Australia, we have served hundreds of companies and organisations worldwide, many of which are Fortune 500 companies. To date, we have 13 group members providing a wide range of consultancy services, with top-quality local support in Asia Pacific. ClusterTech is a leading provider of advanced computing technologies including Cloud Computing, High Performance Computing, Big Data and FPGA, to help clients address their needs in massive data processing, large-scale computation, in-depth analysis, artificial intelligence and high availability. Since 2000, ClusterTech has been delivering solutions in a wide range of fields, including Financial Engineering (investment analysis, risk management, derivatives pricing, etc. ), Business Intelligence (sales forecasting, customer management, stock consolidation, etc. ), Environmental Science (weather forecasting, storm and turbulence forecasting, air quality analysis and prediction, etc. ), Smart City (information collection and analysis, management optimization, etc.) and Internet Applications (mass image processing, video storage and delivery, etc.). ClusterTech also provides public cloud, private cloud and hybrid cloud solutions for enterprises of all sizes. 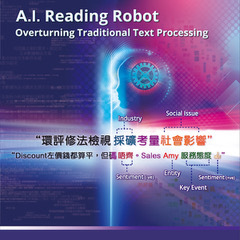 PRISMA (AI Reading Robot) is an artificial intelligence and award-winning text processing technology customised for Hong Kong languages. It consists of 3 core technologies including Search Engine, Text Mining, and (Trilingual) Natural Language Processing (NLP). These enable it to understand and categorise structured and unstructured text data including slang, idioms and buzzwords. Applications of PRISMA: 1. 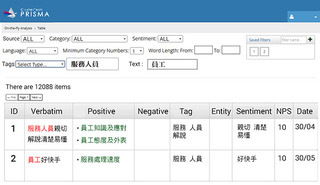 Customer Feedback Processor - uncovers the correlations between text data and enterprise objectives by extracting and categorising key information. It allows enterprises to gain a clearer and more comprehensive insight into customer behaviour and their needs. 2. 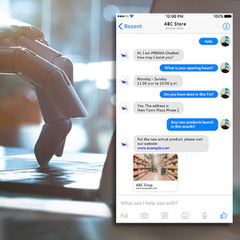 Online Chatbot - automatically responds to users’ enquiries based on pre-set service categories. It can be widely applied to e-services platforms, e.g. online customer service, allowing enterprises to provide high service quality during non-office hours. 3. File and Knowledge Manager - quickly and objectively detects and classifies documents into categories by keyword. It allows enterprises to perform knowledge management by systematically centralising documents and building archives.